OTAKU CLUB: Junketsu no Maria: WHY OMNIA VINCIT AMOR WHY?? Hey guys, Wolvenciel here typing amidst all this haze to bring you another anime review. This time its Junketsu no Maria or Maria the Virgin Witch. I was gonna post this last week but I had to go to my family orchard to take care of stuff there so no time for reviews I suppose. Luckily (or not) this week I am as free as can be. But yeah. I went to a football match yesterday and halfway along the way the management announced that the match was postponed. So wasted time there (cries). Enough about that then. Like always, I'll start with a summary of the anime. Junketsu no Maria is a story about a very powerful witch that has this principle that she will not let anything that she does not like to happen in front of her. In this case, she hates wars. Pretty cliche for a main character of any kind of war-themed animes, I know but as we all know war is never ending and some even gain a lot from them. 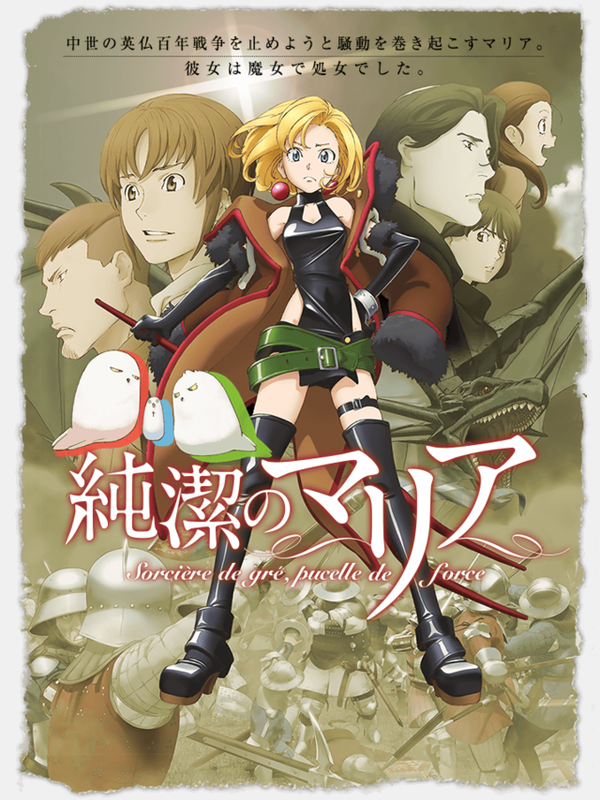 So this anime tells of the witch Maria's efforts at stopping the war between her homeland, France and the invading British empire and the people who try to prevent her from doing so. 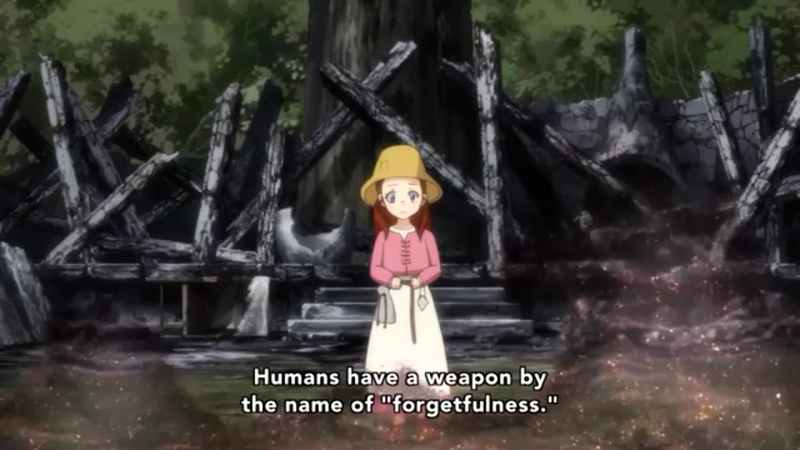 I think the main idea for the anime is on how we, as humans should walk this Earth. Despite the title itself (yeah I kinda went to kissanime when the anime started airing and the comment box was full of "oh god look at the title! 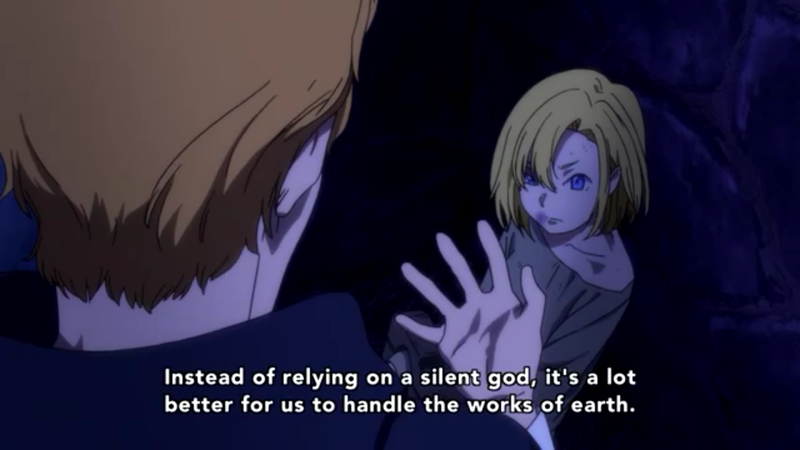 This is the year of fan service" and stuff like that) the anime is very philosophical. It talks about faith and the flawed belief system during the medieval times and about how effort is also needed while practicing faith. 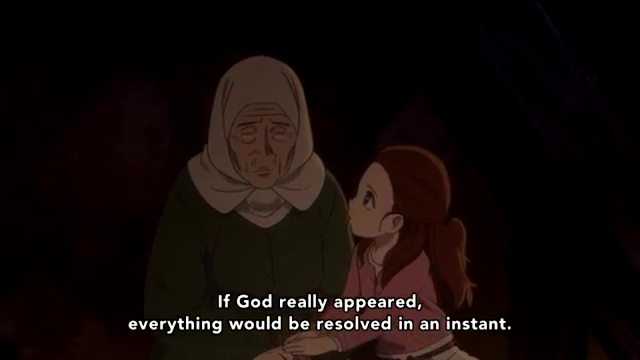 There are a lot of things to ponder about that are mentioned in this anime though it can be a bit sensitive for some as... Maria really really really hates God. And anything that has to do with God. So yeah. When watching anime, take in the good stuff and leave out the bad ones yeah? It also has this pretty neat intro like in one piece (though I do not like the voice of that intro guy from one piece) where Martha, a villager in the anime who is also Maria's neighbor and good friend since she was little, introducing Maria who also shared the same name and status as that of Maria the Virgin. It is repetitive but hey I think that's the point right? Her voice fits pretty well with the intro as well. Maybe being an old lady while introducing a witch has something to do with that. The name of the episodes are also interesting. They're in french and I guess each and every one of them is like a mini-proverb or something. I do hate the last episode's title though. Just saying. The art quality for the anime is kind of nice actually. It has those colorful magic bursting as the witches cast their spells and also a nice depiction of medieval France. The character designs are cute too especially the birds (which are also her familiars) that accompany Maria in her endeavors throughout the anime. Although I must say Maria reminds me a bit of Bulma but hey that's just my eyes I guess. There is one pretty obvious letdown though. The war scenes. I was pretty much looking forward to the war between France and British and when they got to it the animation wasn't really detailed. I mean yeah it won't be full of explosions and guns like in Gate but still, it was done in a very rugged way that I can't seem to like it. The crossbow bolts were unrealistic and during the war scenes the animation doesn't look smooth as well. They totally look like two different scenes slapped together. There aren't that many war scenes in the anime so thank God. In the defense of this anime I'd like to say don't judge the anime by its title. 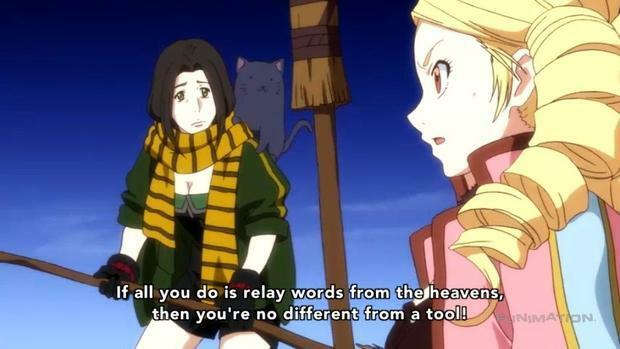 Its not some shallow pure fan service anime. No wait. Its not even a fan service anime. There are a lot of philosophical ideas and ways of thinking portrayed in this anime let me tell you this. Watching this isn't a walk in the park. its full of frustrating moments that makes you want to punch the lights out on every religious medieval guy you find. Especially those bald monks. Especially those. I especially liked this anime because of the flow of the story and the events that happen, but the ending totally turned me off. Its not bad or anything. I just personally hate it. Yes it has something to do with Omnia Vincit Amor. See ya guys next time. SOUSEI. GATTAI. 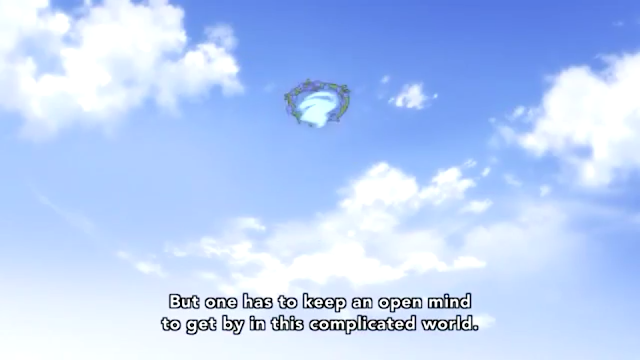 AQUARIONNNNN.